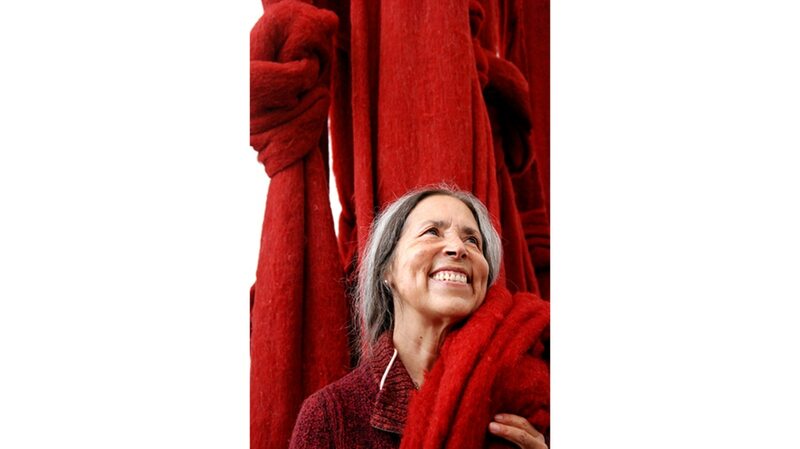 Cecilia Vicuña is a poet, artist, filmmaker, and activist. Her work addresses pressing concerns of the modern world, including ecological destruction, human rights, and cultural homogenization. Born and raised in Santiago de Chile, she went into exile in the early 1970s, after the military coup against elected president Salvador Allende. Vicuña began creating "precarious works" and quipus in the mid 1960s in Chile, as a way of "hearing an ancient silence waiting to be heard." Her multi-dimensional works begin as a poem, an image that morphs into a film, a song, a sculpture, or a collective performance. These ephemeral, site-specific installations in nature, streets, and museums combine ritual and assemblage. She calls this impermanent, participatory work “lo precario” (the precarious): transformative acts that bridge the gap between art and life, the ancestral and the avant-garde. Her paintings of early 1970s de-colonized the art of the conquerors and the "saints" inherited from the Catholic Church, to create irreverent images of the heroes of the revolution.